This hand made natural soap bar is very pleasing to the senses with lavender fragrance. It is soft on your skin and leaves you feeling refreshed and hydrated after each use. Use it to clean the skin: Lavender can be used as an antibacterial and antifungal agent. Use it to detox the skin: Environmental toxins and daily stress can tax the skin, giving it a coarse and inflamed appearance. Lavender can help combat the toxins and stress with its antioxidants. Studies have shown that elevated stress levels in the body can negatively affect the skin. Lavender can improve the skin by acting as a mentally calming agent with its aromatherapy effect on the brain's Alpha waves. 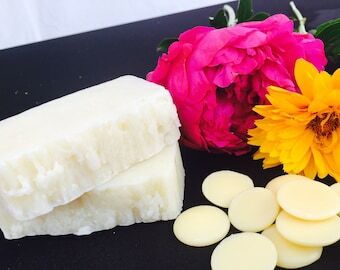 Ingredients: Organic lavender flower infused in organic unrefined olive oil, organic unrefined coconut oil, sustainable organic palm oil, organic shea butter, lye, purified water, & lavender essential oil. DISCLAIMER: Please note that our products in no way replace the advice or treatment provided by your medical practitioner. It is always good to seek the advice of your physician, homeopath, naturopath, or herbalist for professional advice in any matter related to your health. These statements have not been evaluated by the Food and Drug Administration (FDA). Please let us know the name of the recipient and what the occasion is and we'll find a wrapping paper to match the theme/occasion. 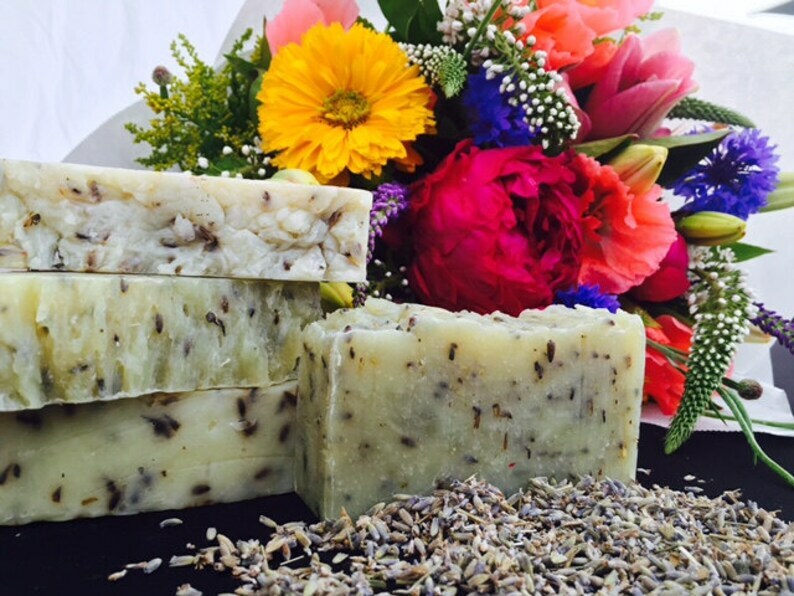 Herbal soap for dry, damaged skin, Magica! Great scent and nice fresh ingredients. Very nice quality. Absolutely love this soap. I will be ordering again. The fast shipping is a plus! The scent is amazing and I’m so excited to order more. Another amazing soap. Thank you so much! When you buy 10 or more items, send us a message for a 25% discount! How do we source our raw ingredients? We source from local farmers (when available) and we also source from certified organic wholesalers across the world. What do you do to contribute in your community? We donate 2 % of our profits to local scholarships in Mount Vernon, WA. We strongly believe that our kids as well as adults should have the opportunity to get ahead in life, regardless of economic background. How do you get ideas for your products? We listen to our customers’ needs and we continuously seek to improve our products. 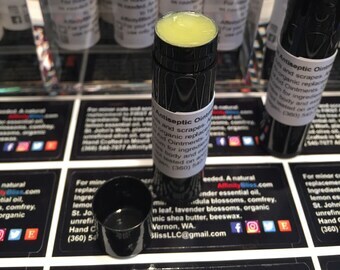 For example, our Arnica Pain Relief Oil arose out of a customer’s need to apply the Arnica flower on his knees before and after competitive soccer. Because he had tried our Arnica balm, he asked if we could make him an oil, as he could apply it much faster and he needed his knees to absorb it in a nick of time. Our Arnica Pain Relief Oil was born and it has been a success. What new products will we be launching next? Stay tuned. Please leave us a note when you place your order so we may add a special note addressed to whomever you need if you want to send it to someone special. If you wish to do something more than a note, write us before placing your order so that we may better prepare and serve your needs.